See award-winning dolphin shows and fabulous marine creatures - including sea lions, parrots, penguins, stingrays and more! This ticket includes return transport from the following Eastern Resorts: Cala Bona, Cala Millor, Sa Coma, S'illot, Cala Ferrera, CalaD'or and Cala Egos. Access to all performances and facilities. Children aged 3-4 will require a mini-ticket, which can be purchased at the park for €10. Transport from the following Eastern Resorts: Cala Bona, Cala Millor, Sa Coma, S'illot, Cala Ferrera, CalaD'or and Cala Egos. This ticket must be used on the date you specify when booking. Please call the phone number provided on your e-ticket at least 24 hours in advance to confirm your pick-up time and location. Don’t Miss: The award-winning dolphin show – it’s amazing! 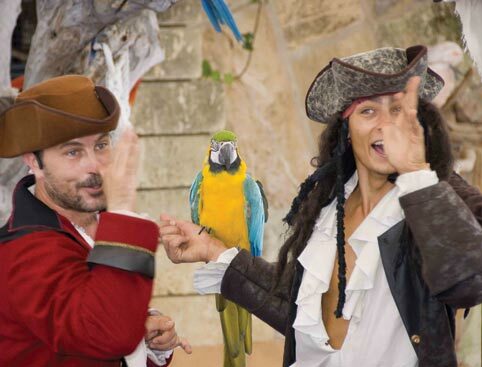 The whole family will love spending time at Marineland Majorca, which, along with weird, wonderful and always amazing marine creatures from around the world, features multi-award-winning shows starring sea-lions, parrots and dolphins! 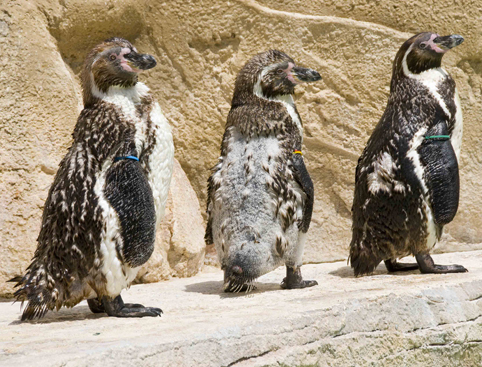 Whilst at Marineland, visit the aviaries featuring beautiful exotic birds from Africa, America and Australasia. Plus watch Californian sea lions as they show off their playfulness, acrobatic skills and agility in their very own show! 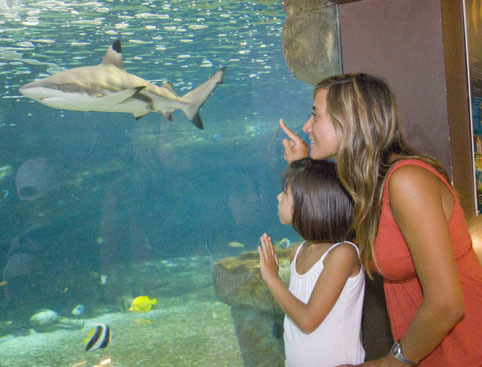 Visit Marineland Majorca’s tropical aquarium – home beautiful marine life of all colours, shapes and sizes. Admire the slithery inhabitants of the tropical house, including pythons, boas and anacondas along with prehistoric lizards, iguanas, fresh water fish and snappy piranhas. 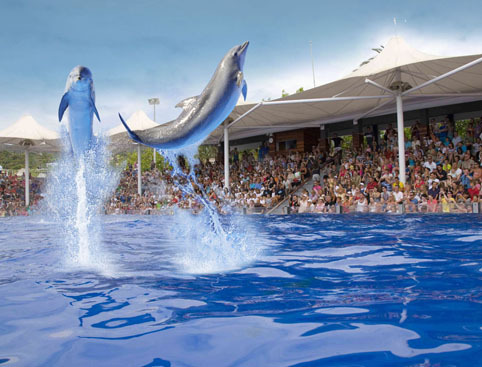 A visit to Marineland Majorca is the perfect opportunity to enjoy a stimulating and fun family day out, away from the heat and crowds of the beach! 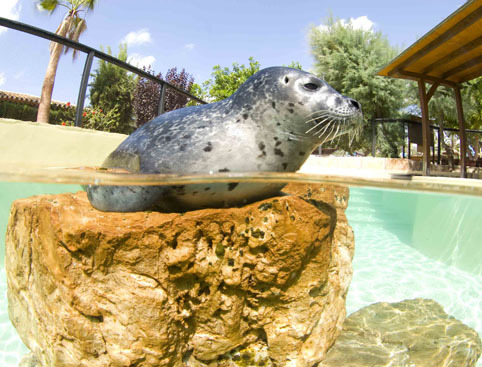 Marineland Mallorca is open from beginning of March until the end of October. We recommend checking specific opening days with the park before your visit. C/ Garcilaso de la Vega, 9, Costa d’en Blanes, Mallorca. Children aged 0-2 can enter Marineland for free! Toddlers aged 3-4 years can enter at a discounted rate of 10 euros (payable at the entrance). There is plenty of free parking at Marineland Majorca. Sea Lions: 11.30am and 3.30pm. Parrots: 10.20am, 1pm and 4.30pm. Marineland is located 5 minutes from Palma Nova, 10 minutes from Palma, and 50 minutes from Alcudia, Cala Millor and Cala D’Or. To get there by car, take the Palma - Andratx motorway and exit at Portals Nous. You will be collected from your hotel or a centrally located meeting point from around 8.30am. Departure time from Marineland is at approximately 6.30pm. Unfortunately the bus is unable to accommodate passengers with mobility problems. Marineland Mallorca is rated 5.0 out of 5 by 1.